The list of ways that technology can improve productivity in business has grown continually in recent years. Almost every aspect of business life can be improved with the help of technology, and productivity is a major factor in technology implementation. If businesses want to stay ahead of the competition then technology in the workplace cannot be underestimated. The technology you implement in your business will of course be entirely dependant on the business you have. 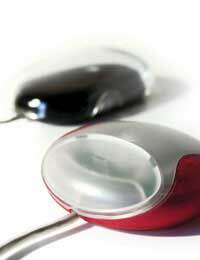 However devices such as computers and Internet applications should be common to all businesses regardless of the size. The Internet is no longer just a computer related gadget but is now a powerful business tool that aids marketing, sales, and advertising productivity. Achieving company goals should be one reason for implementing new technology. For example if your company is an accounting company then the latest accounts based software will be vital and will be both cost effective and time saving. This software is designed to take the strain out of everyday and more detailed business processes. There is a huge range of software packages available that are company specific and are aimed to boost business productivity. Keeping up to date with this software and upgrading it regularly is a must to keep productivity at a maximum. Accurate information is vital to businesses and there are many software packages that can analyse customer preferences and track customer demands. This type of technology works on your behalf to keep track of customer’s records, accounts and spending details. It actually takes the hard work out of keeping tabs on customers, and all the details are just a mouse click away. This sort of software package is vital in areas such as customer services and sales. Communications between both staff and customers rely on technology. Workers and staff have come to expect the most up to date technology in this area. Any company that uses outdated communications technology will not usually be taken seriously, especially by customers. Customers now expect to be able to contact businesses by both email and telephone communications. However it is not just customers that expect the best communication tools. Staff productivity will be boosted if methods of communication are up to date. It’s not uncommon for staff in the same office to communicate business matters by email instead of wandering from office to office or using the telephone. Email information is more accurate, can contain a lot more detail and is a written record. It is a fact that productivity is boosted by streamlined, efficient communication tools. Mobile technology for staff both in the field and working from home, including laptops and personal digital assistants (PDA). Mobile phones with internet facilities. Digital cameras with memory disks that can download photographs directly to personal computers. Up to date communications systems including video conferencing and voice over internet protocol (VoiP). Many small businesses may think that this sort of technology is beyond their budget, especially the small start up business. But prices in business technology have fallen drastically and there is always the option to lease technology. Making the public aware of what your business has to offer can be made much easier and less expensive with the Internet. Online advertising is now a huge business but is not expensive when compared to other forms of advertising. Business websites can be set up for very little money, although the more detailed the website the more expensive it will be. However, businesses will reach a global audience with their websites and this powerful tool cannot be taken for granted. Productivity in business will always be boosted by the right of technology. The importance of up to date software and hardware cannot be underestimated. Communications technology and online advertising is also vital to keep the playing field level with larger competitors. Choosing the right technology for your business should be a time saving and cost effective investment.